There is a temptation to think that books exist in a Darwinian universe where the fittest survive as classics and those less worthy perish into out-of-print extinction. Of course, as in the animal world, those blessed with longevity do not necessarily possess the best qualities, simply those qualities which are best suited to survival. Books also have the advantage that, Jurassic Park like, they can be resurrected for a new audience at any point – you need only think of Sandor Marai’s Embers, or Hans Fallada’s Alone in Berlin. Reason tells us, however, that not every neglected text has been unfairly allowed to die out, and that some should remain the sole preserve of academics. 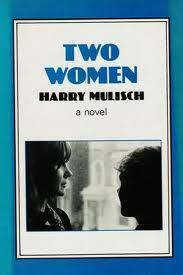 Harry Mulisch’s Two Women is a case in point – not a bad novel, but one that feels very much of its time (the 1970s) and unlikely to survive long if released into the present literary climate. I’ve long been an admirer of Dutch writer Harry Mulisch, though only a few of his many novels have been translated into English. I was delighted to obtain a copy of Two Women, originally published in 1975 and then translated into English by Els Early in 1980 for John Calder – at that time Calder published a number of exciting European writers like Heinrich Boll and Alain Robbe-Grillet, as well as Beckett, William Burroughs and Jorge Luis Borges’ Fictions. It’s a slim novel, a little over 120 pages, which recounts a relationship between two women (the title is something of a giveaway, though the male authorship is not). It is because the novel exists almost entirely in the world of sexual politics that it can feel dated. When two men pick up Laura and Sylvia in Nice, they become furious when they realise they are not going to sleep with them. Even a visit to the theatre sees an all-male performance of Orpheus and Eurydice, masturbation included. This is what a book group would call a ‘talking point’, though, again, it feels dated as a result of both advances in technology and attitudes. I certainly have no regrets for having both tracked down and read Two Women – if nothing else it provides a further dimension to my reading of Mulisch. However, I don’t feel I can demand that it be immediately brought back into print. It’s a novel whose time has probably passed, best left to be discovered by those are prepared to dig down into the lost layers of the second-hand shelves. You are currently browsing the archives for the Harry Mulisch category.